ISLAMABAD: Hundreds of civil servants across the country may lose their jobs after the apex court’s directives to the federal and provincial governments regarding the setting up deadlines for those officials with dual nationalities to either give up their job or the second nationality. One such example is that of the Oil and Gas Regulatory Authority (OGRA) which is set to take important decision on Final Revenue Requirement (FRR) of the SNGPL and SSGCL and the grant of gas sale license to a foreign company, but one of its top officials allegedly holds nationality of a foreign country, sources said on Monday. Sources in the petroleum division told Pakistan Today that OGRA’s Member Oil Abdullah Malik, who will be a part of important hearings of the authority, is allegedly a dual national. OGRA has called an urgent hearing to grant licence to Trafigura Pakistan Pvt Ltd to carry out the sale of Re-Gasified Natural Gas (RLNG) in the country, sources said, adding that the company earlier submitted an application with the authority for the grant of licence to carry out the sale of LNG/RLNG. The authority has surprisingly called an immediate public hearing on December 18, 2018, to take a decision in this regard while the member oil, sources say, will be a part of the meeting. The sources also said that without the participation of OGRA’s member oil, the quorum will not be complete as the authority is working with a chairperson, and two members (finance & oil) but no member gas. So far, initial discussion regarding the dual nationality of the member oil has not been held within the authority and it is yet to be decided about the impact of the apex court’s decision on OGRA, they added. When asked OGRA spokesperson Imran Ghaznavi, a spokesman of, he said the member oil will inform the federal government about his decision whether he wishes to remain posted by surrendering his dual nationality. Ghaznavi said, “It is the prerogative of the federal government to appoint and remove member, chairman/chairperson of OGRA.” No final decision has been announced by OGRA’s member oil regarding his job and dual nationality, he added. Following the Supreme Court’s decision pertaining to dual nationalities of civil servants, hundreds of dual national civil servants appointed in various federal and provincial government ministries, statutory bodies, institutes, companies, semi-autonomous corporations, and authorities are likely to be removed from their jobs. Sources further said that hundreds of civil servants who are working in different ministries (federal and provincial) and other bodies including PSO, OGDCL, PPL, SNGPL, SSGCL and others, either have foreign nationality or permanent residence. They said that after the decision of the apex court, they will have to decide their fate. Sources further informed that Oil and Gas Development Company Limited (OGDCL) Managing Director (MD) Zahid Meer is also a dual national. And, he has to decide soon either to carry on with OGDCL or surrender the foreign nationality. They said hopefully OGDCL MD will surrender foreign nationality as he has lobbied to become a permanent MD OGDCL. It is also learnt from sources that General Manager (Marketing) Shehryar Omar, and Senior GM (Project) Babar Siddiqui of Pakistan State Oil (PSO) are Canadian nationals and they have so far not conveyed their decision to the body. The federal government is expected to issue a letter today (Tuesday) to various government departments, organisations, companies, semi-autonomous, and corporations, asking the dual national government servants to either leave their job or surrender the foreign nationality. The government’s letter will also give a deadline to the dual national public servants to make the call, inside sources disclosed. The government should not only remove these dual national public servants but also initiate probe to examine their actions and orders to check how they might have facilitated foreign companies and businesses in the country, sources suggested, and added that most of the dual national civil servants have been occupying lucrative slots in various federal and provincial bodies and now with the effect of the SC decision they will have to choose between the two. It is pertinent to mention that the top court order asked the government not to appoint dual nationals on top posts and to draft laws in this regard after approval from the cabinet. “This is intended to send a strong signal to all officials in the employment of the government of Pakistan at any level that they must not deceive Pakistan by breaking the trust that they have been bestowed upon by virtue of their office,” the verdict adds. 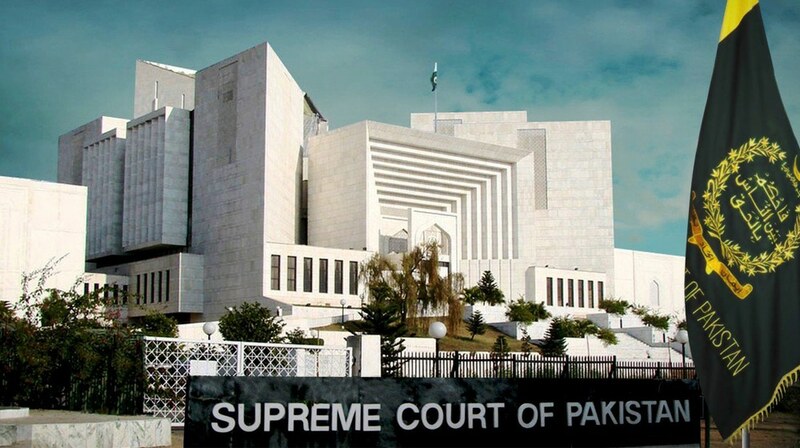 The judgement was made by Chief Justice of Pakistan Mian Saqib Nisar while Justice Ijazul Ahsan was the other member of the special bench that announced the reserved verdict at the Lahore registry. Failure to relinquish other nationalities on government employees’ part within the stipulated time should result in legal action, the court stated in its order. The court remarked that government employees who hold foreign nationalities during the course of their employment are a threat to the interests of the state of Pakistan. Furthermore, the apex court said that in case a non-Pakistani is to be engaged in employment then the concerned cabinet’s permission should be secured. The court directed the federal and provincial governments to compile lists of its employees who hold dual nationalities, and told the parliament to legislate and take necessary measures. In January, the chief justice, while hearing a separate case, had taken up a suo motu case on senior government officers as well as members of the judiciary holding dual nationality. In March, a report compiled by the Establishment Division had revealed that a total of 213 government officers serving in various ministries, divisions, provincial departments and autonomous bodies held dual nationality. Earlier, the chief justice had summoned a list of dual nationals appointed on top government posts across the country. Reportedly, the Federal Investigation Agency (FIA) had submitted a list of around 1,000 dual nationals holding government offices to the SC. And, according to the FIA, as many as 719 officers had declared their dual national status while the others chose to hide it.